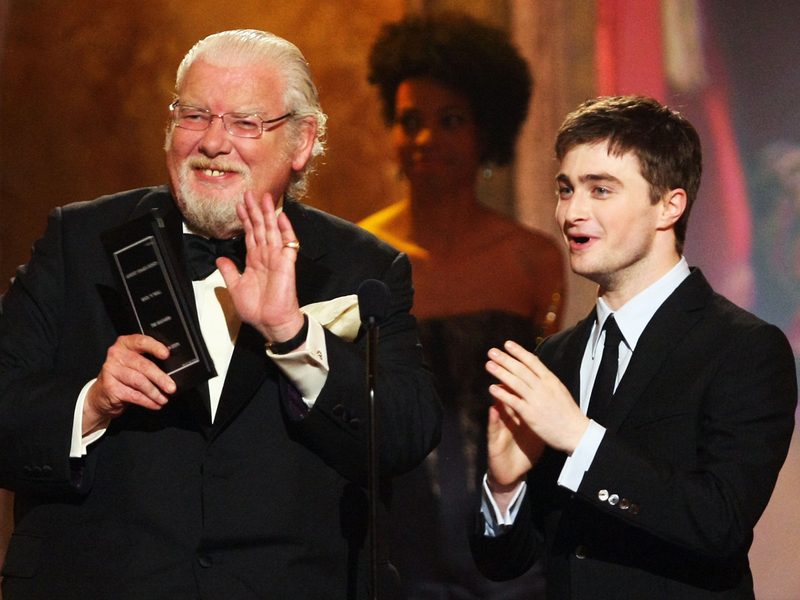 Daniel Radcliffe is just one of those paying tribute to Richard Griffiths, who played the boy wizard's nasty Uncle Vernon in the "Harry Potter" films, following the actor's death Thursday, at the age of 65, of complications from heart surgery. Radcliffe -- who also appeared on stage with Griffiths in "Equus" -- said Friday: "Richard was by my side during two of the most important moments of my career." He wasn't the only one to honor the late actor. Britain's National Theatre director Nicholas Hynter said Griffith's unexpected death would devastate his "army of friends." "Richard Griffiths wasn't only one of the most loved and recognizable British actors -- he was also one of the very greatest," he said, according to the BBC. "His performance in 'The History Boys' was quite overwhelming: a masterpiece of wit, delicacy, mischief and desolation, often simultaneously." Warwick Davis, who also appeared in the "Harry Potter" films, also said: "You got a great deal of support (as an actor) for having Richard about. He was lovely, he would always make time for his fans, that's what makes a great actor, it's about having a good persona." Another tribute came from actor Richard E. Grant, who wrote on Twitter: "My beloved 'Uncle Monty' Richard Griffiths died last night. Chin-Chin my dear friend."